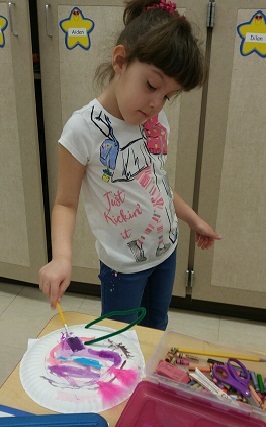 As Spring finally arrives, kindergarten students are blossoming into first graders. To celebrate all of their hard work and accomplishments this year, we have many fun-filled events/activities planned. Mark your calendars … we are creating memories that will last a lifetime. Thursday, May 24: 6:30 pm. 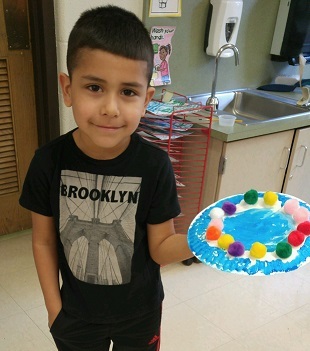 –Student Showcase and Open House Parents and families are welcome to Mary D. Lang Kindergarten Center to see all of the beautiful work the students have completed this year. We also have an amazing zoo exhibit that you do not want to miss! Friday, May 25: 6:30 pm. – Parent/Child Dance Come on out and dance until you can’t dance anymore! More info will be coming in the BOBB and home with the students. Volunteers will be needed. Mr. Howanski will be sending home forms soon. All volunteers must have their clearances on file with the office, and please, no siblings. Wednesday, May 30 – Kindergarten Visit to Home Schools Students will spend the first hour of school at their home schools. If you drive your child to school, drop-off will be at his/her home school. Friday, June 1 – U Pod Field Day in the pm (Rain date – June 11th) Volunteers will be needed. 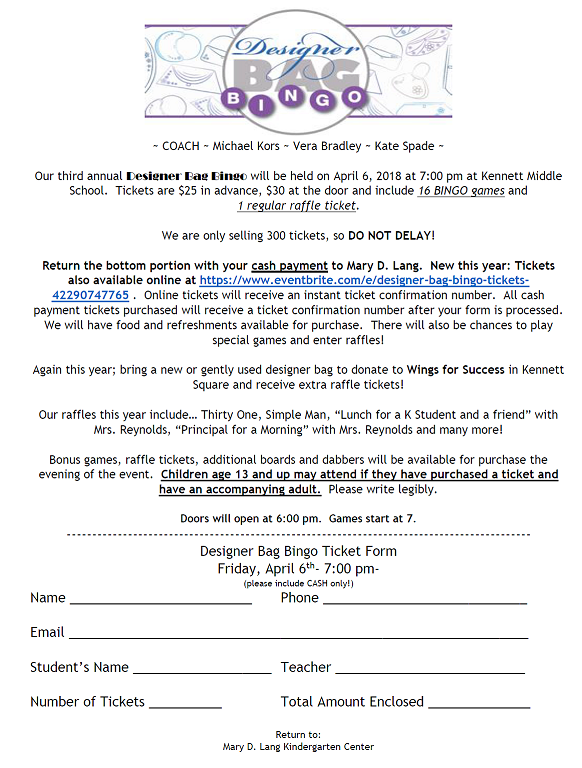 Mr. Howanski will be sending home forms soon. All volunteers must have their clearances on file with the office and please no siblings. 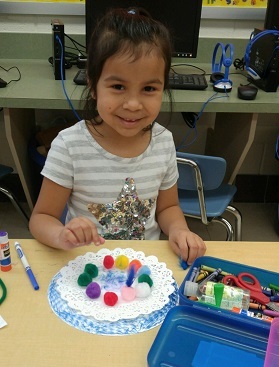 Wednesday, June 6 – District-wide STEM Night 6:30 pm at Kennett Middle School Families are invited to experience all that the STEM program has to offer in the Kennett Consolidated School District. Activities, demonstrations, and a sweet treat are sure to keep everyone entertained. Farewell Celebrations are presented by students. Singing, dancing, poems, and more are sure to showcase a fantastic year of kindergarten! Parents and families are invited to attend. On Thursday April 26, students from Mary D. Lang Kindergarten Center enjoyed a minor league baseball game with their families and friends. 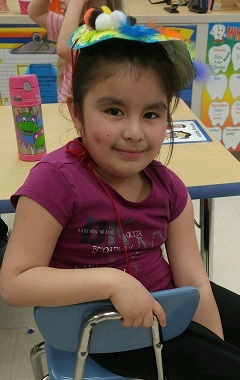 To participate, students read 10 books at home and kept a list on a bookmark. When the list was completed, students received two baseball tickets to see the Wilmington Blue Rocks. Prior to the baseball game, Rocky Bluewinkle made a visit to Mary D. Lang Kindergarten Center to get everyone excited! The Secret Agents from Miss Daveler’s Classroom saved the 100th Day of School! The excited students could not wait to accept their missions. 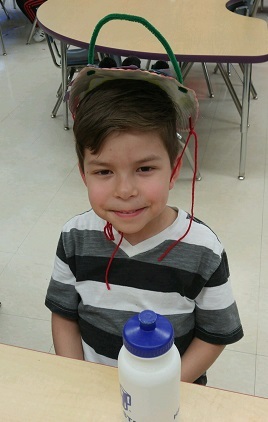 The anticipation was building as the 100th Day of School approached. The students received a ransom note from Devious Agent 99 that he had Zero the Hero. The future of Zero was left in the hands of some special secret agents. There were multiple missions where the reward for completion was a clue. The missions all included counting, writing, or using the number 100. After all of the clues were collected, they put the clues together and a message was revealed: “Zero the Hero is where you like to play.” The agents found their subject on the playground! 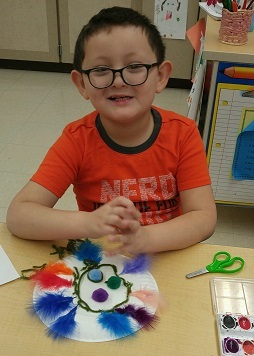 The 100th Day of School was saved for all! Secret agents complete missions to get clues to find Zero the Hero. 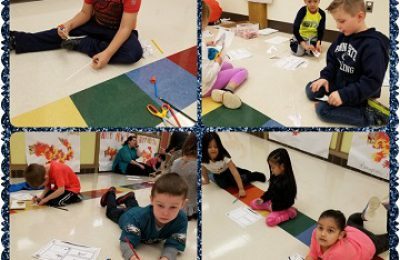 The week of January 22 to the 26 Mary D. Lang Kindergarten Center joined schools throughout the country and across the globe by participating in the Great Kindness Challenge Week. 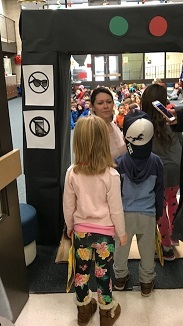 We had a kindness assembly, heard about kindness on the announcements, participated in kindness dance parties, and did our best to practice kindness every day! 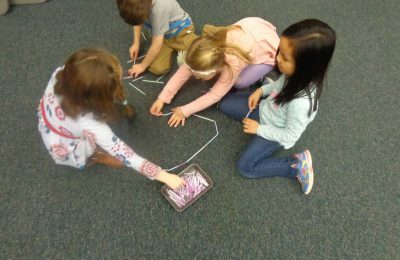 Students from the Kindergarten Center were asked to share their ideas about kindness and how being kind makes others feel. Mrs. Kourtney Phillips, Guidance Counselor, videotaped all of the advice and kind words that our students shared. The video was shown to the entire school at our January Spirit Day! 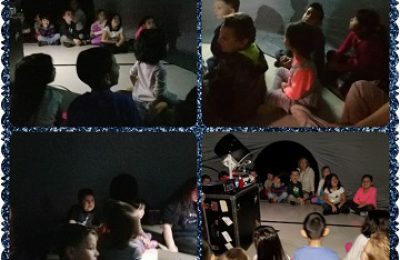 Kindergarten Center Goes Sub Zero! 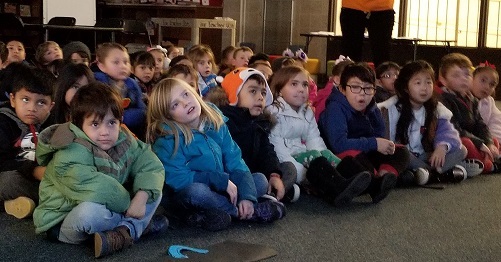 On Monday January 22, kindergarten students bundled up in their warmest outfits, carried their suitcases full of extra warm layers, and boarded a flight to the Antarctic. Flight 409 to Antarctica departed with a full crew and passenger list. The in-flight movie was, Antarctic Antics, and the snack was goldfish. 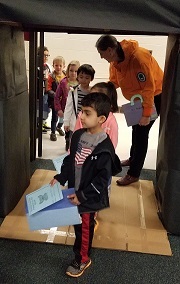 The library of Mary D. Lang Kindergarten Center was transformed into an airport including a security gate where passengers had to enter and be scanned for zippers, belt buckles, and buttons. Upon arriving at the frozen south pole, Mrs. Jane Henry announced on the intercom that, even though it is summer, it is a frigid -22 degrees. Passengers were advised to bundle up prior to exiting the aircraft. Students prepared for the cold, and with binoculars in hand, took an expedition through the wild icy continent. Lines at the MDLKC Security Gate were crowded for Flight 409 to Antarctica. Students were excited to board the flight to Antarctica! 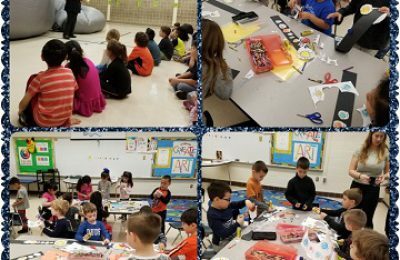 To prepare for this amazing trip, the students spent a students learning about the life and activities of the Antarctic. 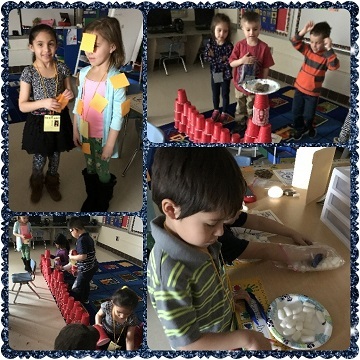 The hallways of the Kindergarten Center were transformed into a frozen tundra complete with icebergs and animals that call the Antarctic home. Students enjoyed the in flight movie on the trip to Antarctica. 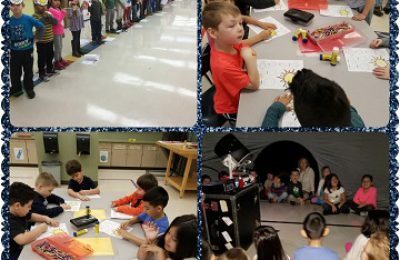 The Polar Express and Pajama Day festivities are always a huge holiday hit at the Mary D. Lang Kindergarten Center. This year, the holiday magic didn’t stop there. The morning went as usual with all of the students watching the movie on a huge, homemade screen in the library. But you could feel a little extra excitement throughout the school. Jaylah hugs her big brother, Ronaldo, when he surprised her at school. Principal Mrs. April Reynolds began to introduce the second part of the day. Her introduction was pointed and the suspense grew for the staff. Mrs. Reynolds asked the students if they have anyone in their family they miss during the holidays. As one can imagine in a Kindergarten Center, there was no shortage of responses. 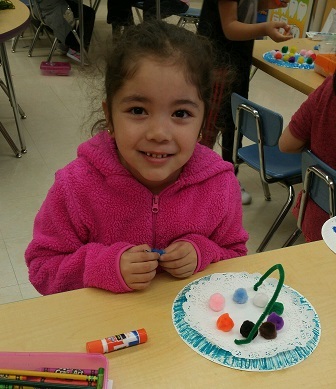 After a few students volunteered their responses, Mrs. Reynolds asked Jaylah, a student in Mrs. Murphy’s class, if she was missing anyone special this holiday season. 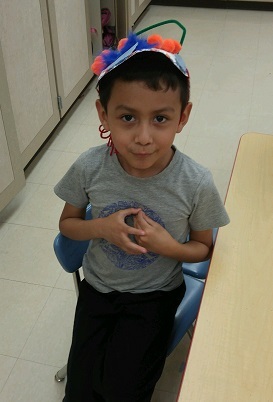 Jaylah replied, “My brother.” That is when the staff and students started chanting his name, Ronaldo, and he magically walked through the door to an overjoyed Jaylah running toward him. Ronaldo Marcelo, a 2017 graduate of Kennett High School, had returned home on his first leave since graduating in June and enlisting in the United States Army. There was not a dry adult eye in the building. 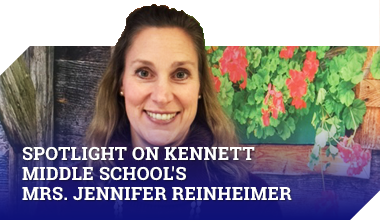 The Kennett Consolidated School District prides itself on being a family and this emotional reunion is just one example of community.